The long-established and highly anticipated sessions of Post-War & Contemporary Art and Fine Canadian Art will draw collectors from around the world. Significant artists who have become staples at Heffel’s live auctions will be featured with major works, including Lawren Harris and the Group of Seven, Emily Carr and Jean Paul Riopelle. Lawren Harris’s Mountain Forms hits the auction block following its starring role in The Idea of North: The Paintings of Lawren Harris, the critically acclaimed exhibition which toured major North American cultural institutions, including the Hammer Museum in Los Angeles, Museum of Fine Arts, Boston, and most recently the Art Gallery of Ontario. The outstanding 1926 Rocky Mountain work by the Group of Seven founder is estimated to fetch between $3 million and $5 million. Standing five feet tall and nearly six feet wide, the canvas is one of 10 works by the artist included in the fall auction. For the first time, Heffel is excited to offer an additional live auction session featuring the most valuable single-consignor collection ever to come to market—The Peter & Joanne Brown Collection. The session is estimated to reach sales of $12 million to $17 million, and includes a selection of artworks from the noted Canadian businessman’s vast collection. 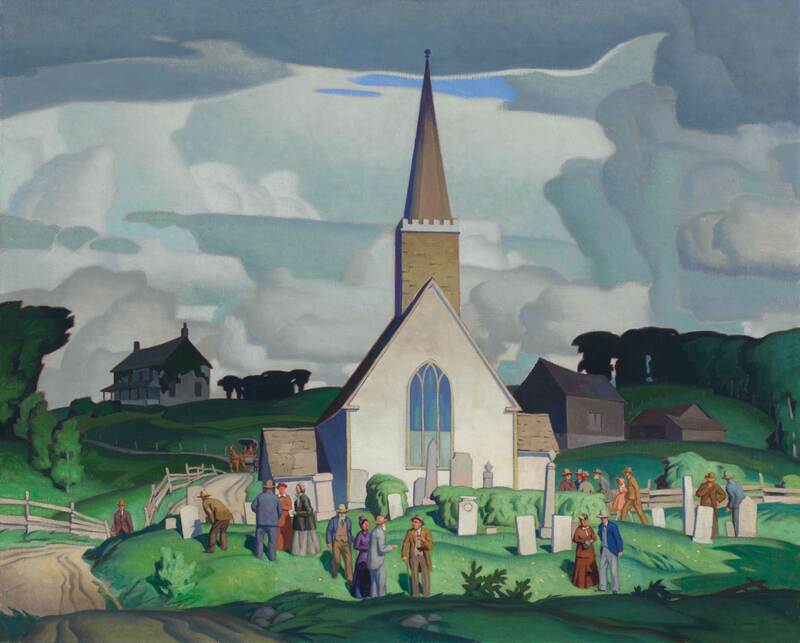 The 90 lots on offer are representative of Canadian artistic excellence from coast to coast, including works by Alex Colville of the Maritimes, Emily Carr and Bill Reid of British Columbia, the Group of Seven and many others. Peter M. Brown began to seriously build his art collection in the 1980s, working very closely with galleries and dealers including Ken Heffel, founder of Kenneth G. Heffel Fine Art Inc., now Heffel Fine Art Auction House. 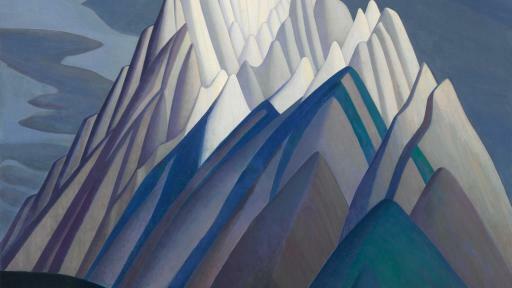 Lawren Harris’s breathtaking 1926 Mountain Forms leads the fall auction by estimate, at $3 million to $5 million. This work is commanding in scale and rich in colour, and the sale offers collectors the opportunity to own a masterpiece canvas by the artist. 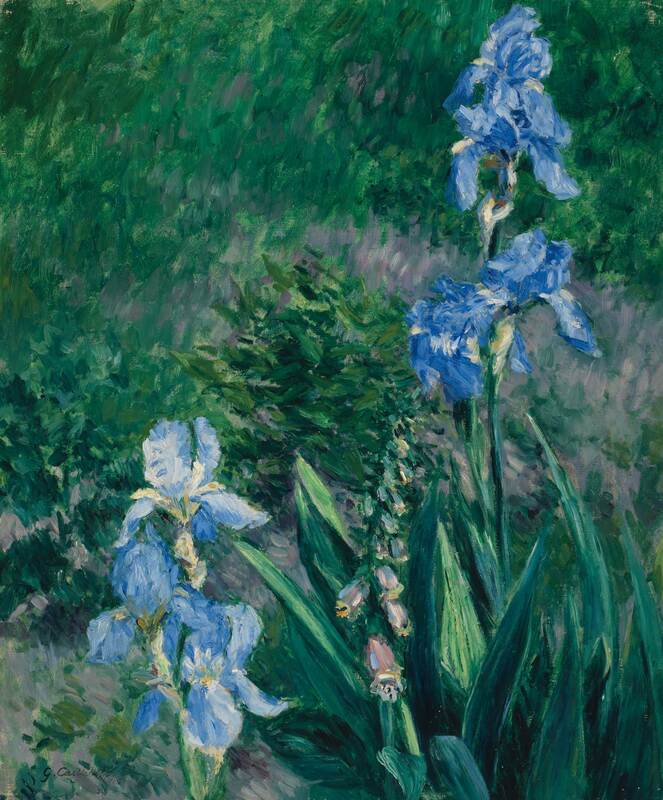 Iris bleus, jardin du Petit Gennevilliers, an 1892 oil on canvas by French Impressionist Gustave Caillebotte, will be offered in the fall sale. 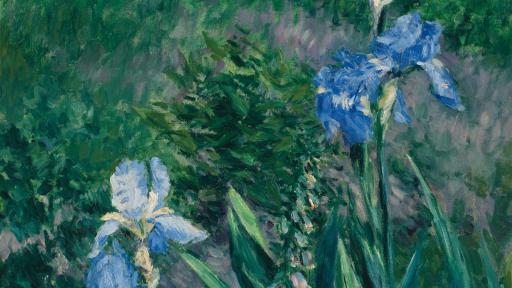 This year, Caillebotte was honoured with an important exhibition at the Musée des impressionnismes Giverny and Museo Thyssen-Bornemisza in Madrid (est. $600,000 – 800,000). Country Crisis is considered by many to be A.J. 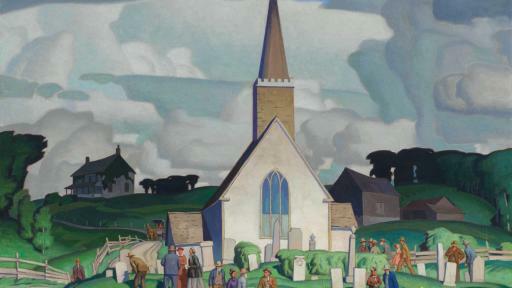 Casson’s most famous work. The iconic painting is featured on the cover of A.J. Casson, His Life & Works: A Tribute, the definitive source on the artist’s career (est. $600,000 – 800,000). 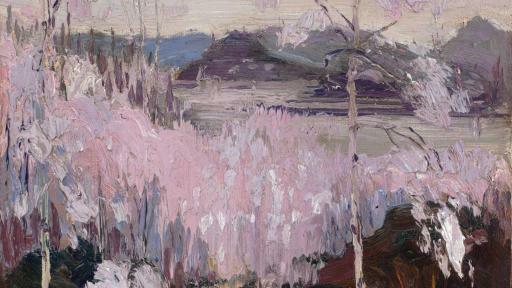 The untimely death of the legendary Tom Thomson makes his works rare to the auction market. 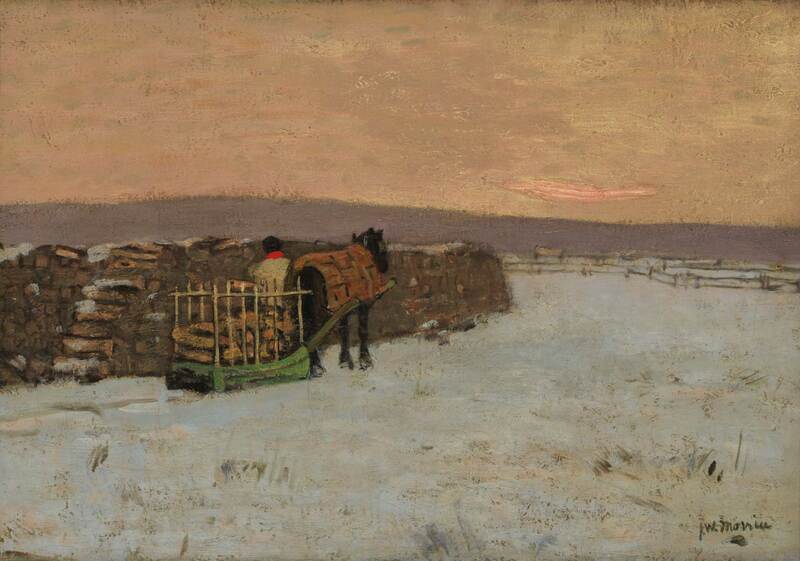 Sleet Storm is of particular significance as it directly relates to an important canvas in the Thomson Collection of the Art Gallery of Ontario (est. $1,000,000 – 1,500,000). Gaspésie is a cultural treasure by celebrated Quebec landscape painter Marc-Aurèle Fortin: a striking depiction of the Gaspé Peninsula. Fortin was able to transform a picturesque view into an extraordinary work of art (est. $700,000 – 900,000). 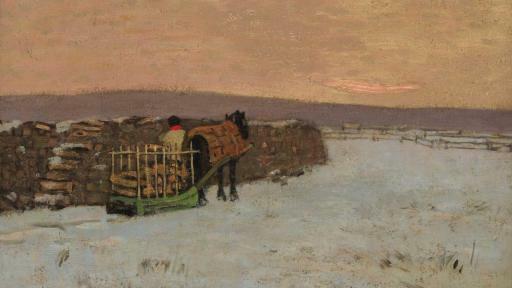 James Wilson Morrice’s magnificent canvas The Woodpile, Sainte-Anne-de-Beaupré is especially poignant, as it is included alongside a group of primarily museum-owned works in Painting in Canada: A History, an important early survey of Canadian art (est. $1,000,000 – 1,500,000). 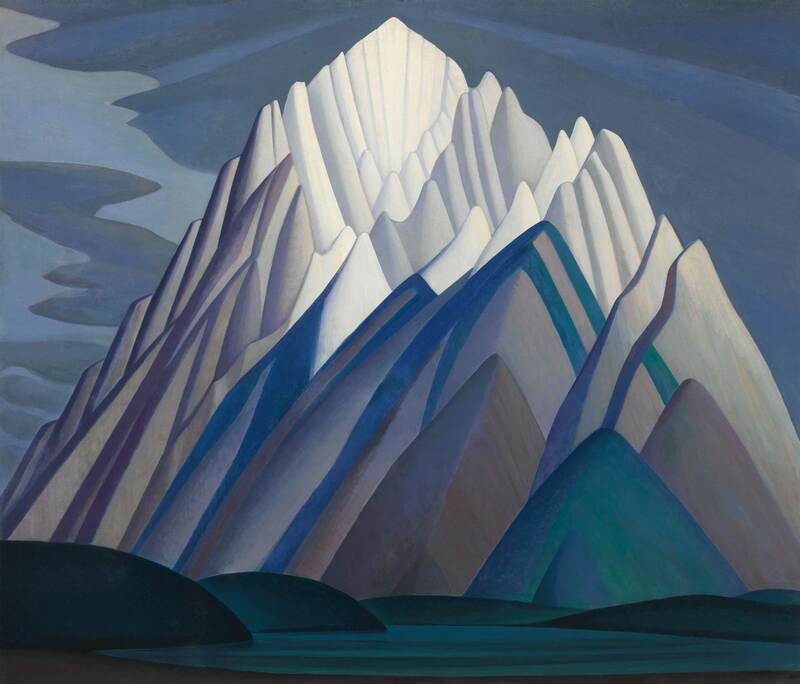 On the heels of the esteemed museum show, Lawren Harris is featured prominently with 10 works on offer, with a total estimate of $5.8 million to $8.9 million. The outstanding Mountain Sketch LXIII oil on board from The Peter & Joanne Brown Collection will be offered (est. $700,000 – 900,000) as well as the graphite Study for Mountain Forms, related to the famous canvas (est. $10,000 – 15,000). 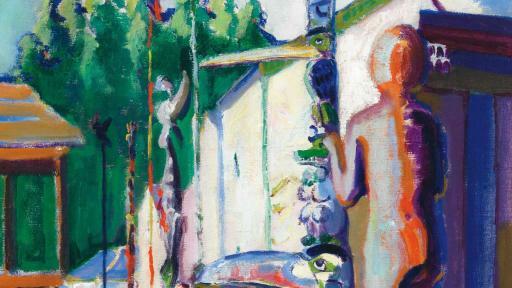 One of Canada’s most significant national art collectives, the Group of Seven is well represented in the fall auction. 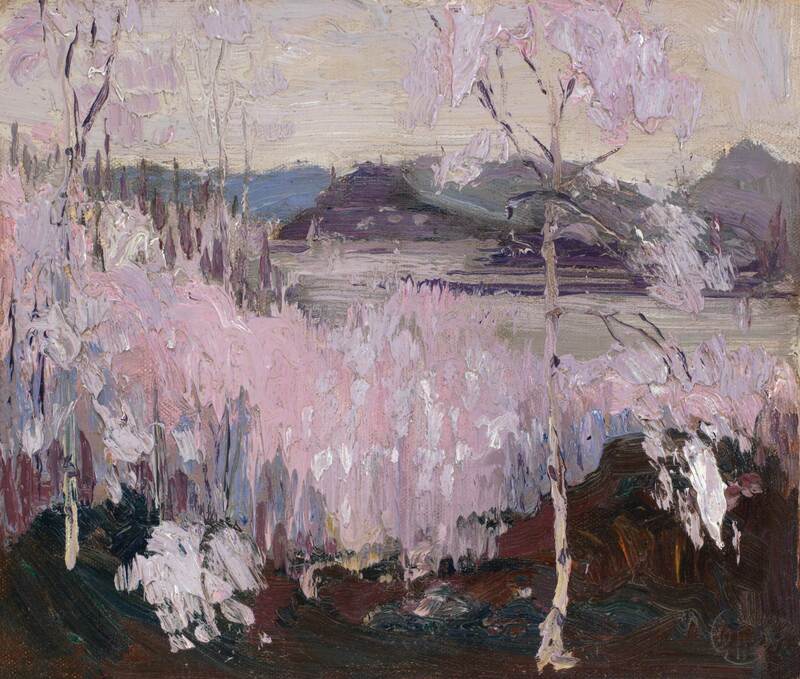 Works by all of the original and later members are featured, including major canvases by Franklin Carmichael, Arthur Lismer and A.Y. Jackson. 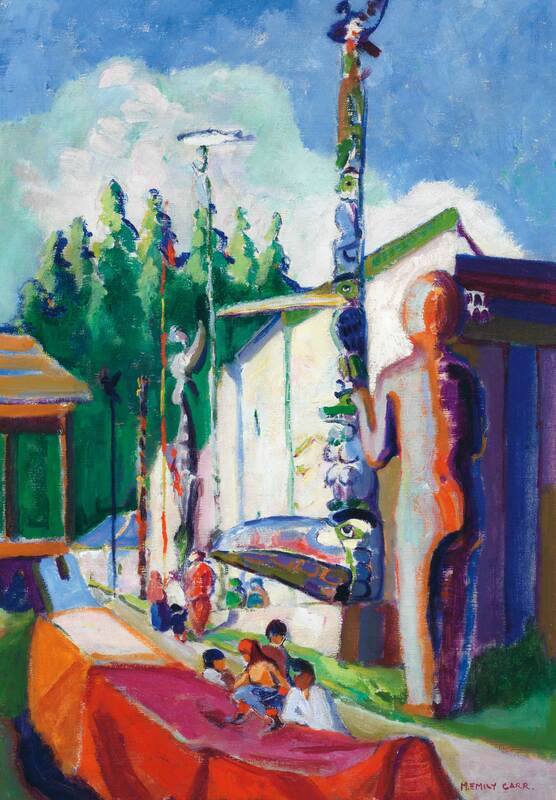 A group of significant paintings by Emily Carr are led by the canvas Alert Bay (with Welcome Figure), featuring vibrant colours influenced by her time studying in Paris (est. $900,000 – 1,200,000). Also included is Arbutus Trees, a painting originally acquired by distinguished Manhattan Project physicist Robert Christy (est. $150,000 – 250,000). William Kurelek’s impactful Portrait of the Artist as a Young Man is a complex self-portrait. Set in the interior of an imaginary temple, the painting is filled with scenes from the artist’s life—some real and some fantastical (est. $300,000 – 350,000). Montreal’s renowned contemporary artists are featured with noteworthy pieces in the fall sale. Highlights include Betty Goodwin’s To Erase Great Chunks of Reality (est. $200,000 – 250,000), Jean McEwen’s Le drapeau inconnu (est. $60,000 – 80,000) and three works by Guido Molinari. For details on the previews and live auction, and to access the online catalogues, please visit www.heffel.com. Heffel has sold more Canadian art than any other auctioneer worldwide, approaching half a billion dollars in art sales since 1978. With offices in Toronto, Vancouver, Montreal, Ottawa and Calgary, Heffel has the most experienced team of fine art specialists in Canada and provides superior client service to both sellers and buyers internationally.